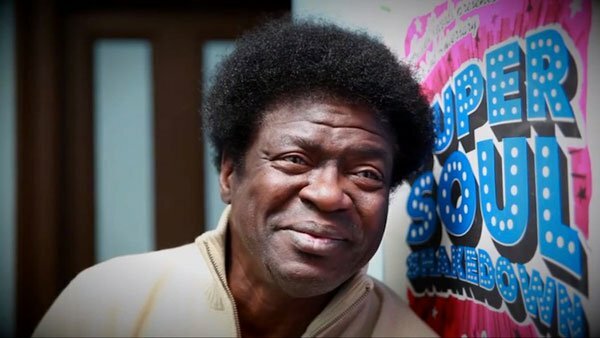 Charles Bradley: The Soul of America, which recently aired on the BBC, is one of those documentaries that justifies a good chunk of the TV tax all on its own. Over the course of an hour (the limited theatrical release was 72 minutes) we are shown around the life of a former James Brown impersonator who only made it with his own material in 2011, at 62 years of age. Anyone who enjoyed Searching For Sugar Man will be similarly charmed by this plucked-from-obscurity tale of a soul singer achieving recognition later in life. Born in 1948, and after a lifetime of hard knocks, Charles Bradley was discovered by a contemporary (white) soul musician while doing his James Brown act in New York City around the year 2000. After releasing his album No Time For Dreaming on the soul revival label Daptone in 2011, the former runaway became a runaway success. Rolling Stone magazine named the LP one of the best of 2011, noting the strength of feeling in Bradley’s incredible voice and the surprising freshness of the Motown-style arrangements. Critics have been quick to point out that despite his incredible voice, Bradley is ultimately a revival act. This misunderstands one key point. Bradley isn’t so much a revival act as someone whose career got held up 40 years by circumstances largely beyond his control. He’s not appropriating this sound – he grew up with it, and it belongs to him. It’s been inside him all this time waiting to get out, and we ought to be mighty thankful it finally has. Unlike the non-fiction music smash Searching For Sugar Man, which is a great film despite its flaws, we never feel as though Bradley’s hard-luck tales are being cranked up for emotional purchase, or certain ‘cold’ facts have been omitted for the convenience of the narrative. Like the man and his music, Charles Bradley: The Soul of America is immensely likeable and full of soul.